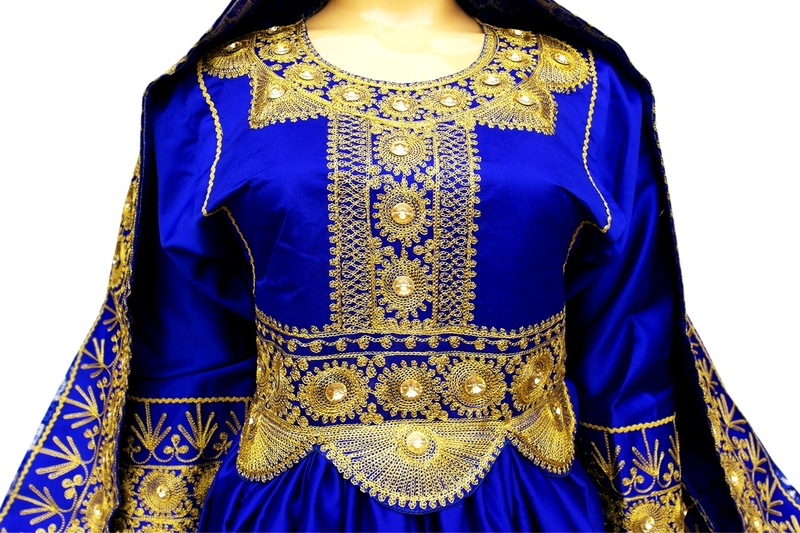 Click the button below to add the Muslim Bridal Dress High Low Design In Blue Afghan Clothing to your wish list. Afghan clothes new fashion is here above in high low design. It is made of good quality Satin and Jamawar Banarasi fabric. Main theme colors of the dress are blue and golden. 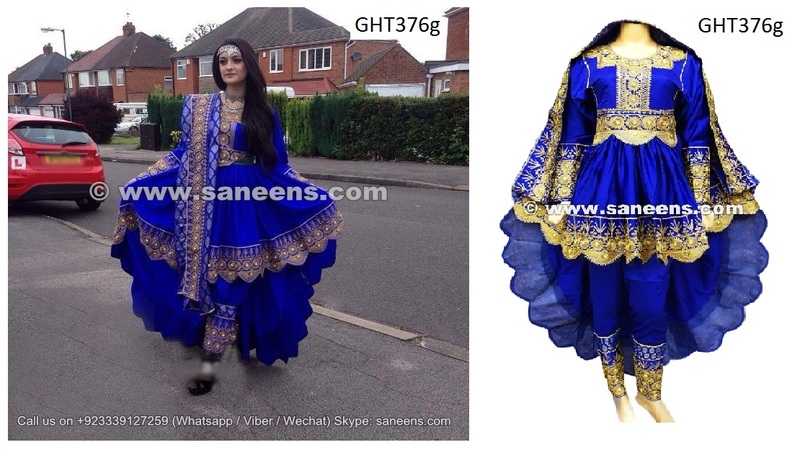 To make it more appealing and attractive this costume is embroidered with beautiful patterns. Also the its unique High-low design makes it dual look costume. It would be short length dress from front and a full length dress at back. Traditionally, such type of dresses are used for brides while most of Afghanistan Persian Pashtun women like and recommend such dresses for wedding and Nikkah event too. All the measurements are kept average. To get the dress in the measurements you need, you can either choose a size from the size chart below or send us the measurements which best fit on your body.